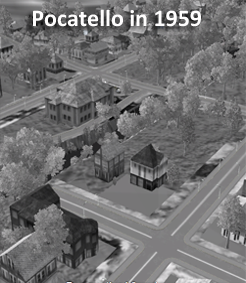 Compare the previous 2 images of Pocatello, one current and one from 1959 with this one showing a possible future. 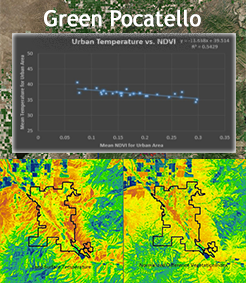 Story map comparing vegetation and temperature in the Pocatello area. 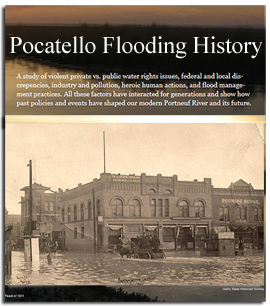 A visual historical timeline of the Portneuf River flooding in early Pocatello and the challenges encountered. 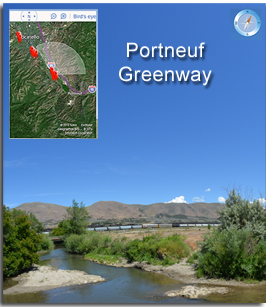 Take a virutal tour of the Portneuf Greenway. 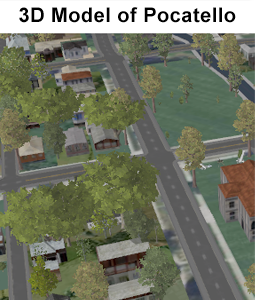 NOTE: This application requires the Unity Web Player plugin and considerable bandwidth to run. May not work with Internet Explorer -- please try Firefox or Chrome. Rather than stream the application through your web browser, you may download the Latest Stand-Alone Virtualization (.zip files) to your desktop. 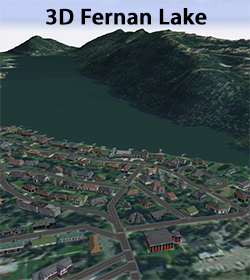 This 3-D visualization of Fernan Lake Village, Idaho and surrounding area demonstrates the capabilities of ESRI's CityEngine for use in SES research and communication. 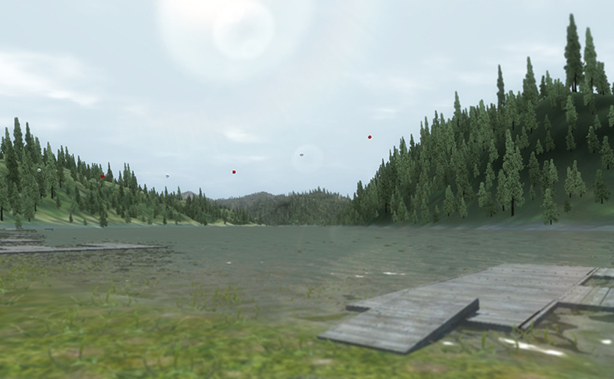 Analysis products such as wildfire severity and lake sensitivity analyses can be viewed in conjunction with infrastructure and development derived from existing GIS data. 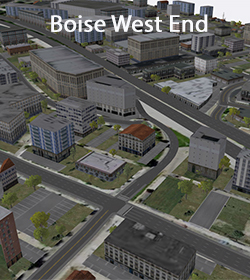 A CityEngine web scene of Boise's West End along the Connector, Main, and Idaho streets. 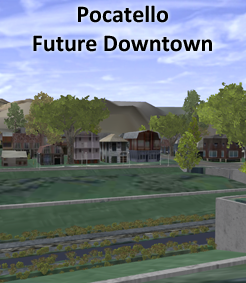 Density of development is shown at three levels.